← Found @ Omega NYC: Inspiration. Renewal. Spring has been a halting, chilly affair in the Northeast this year. Come to think of it, this describes most of the recent springs in our part of the world. 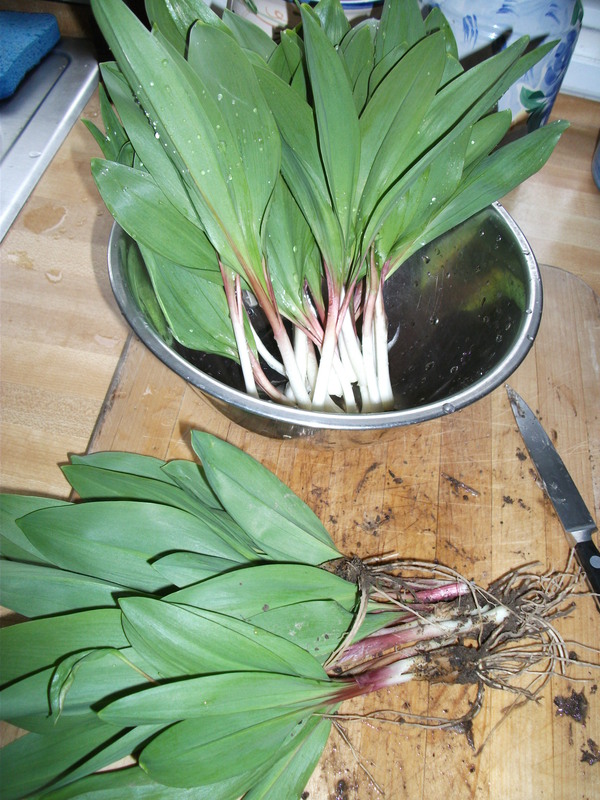 But despite the Mud Season’s lack of consistent sun and warmth, there’s one thing I always look forward to in April: foraging for ramps. They have certainly made their way down the mountainside, into the culinary mainstream. From my wanderings in the nearby countryside, I’ve discovered some thriving patches in wooded bottom-land just a short jaunt from our house. 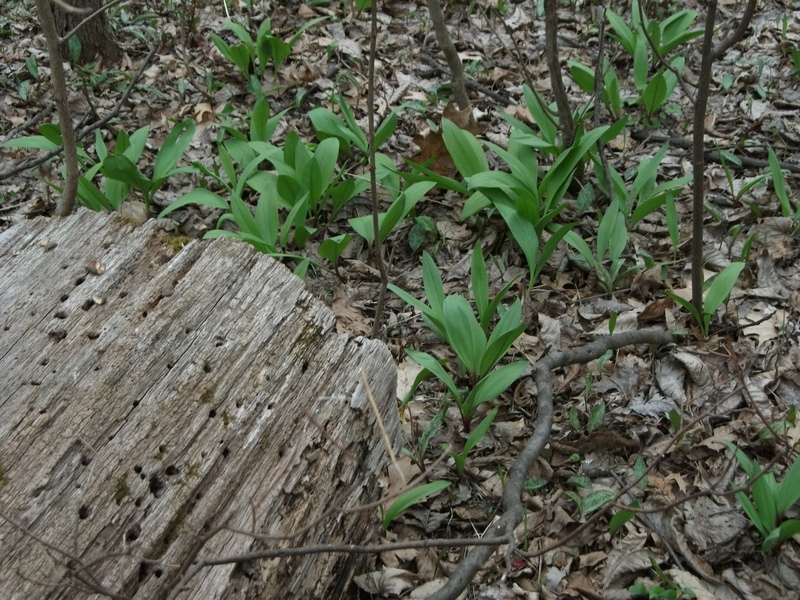 But, like mushroom foragers, I cannot divulge more precise details about my ramp money spots… Ramp season is short, about three to four weeks, once the first emerald leaves poke through the forest floor. Because of heavy snow cover and the misfiring spring, the ramps are definitely later this year, making the Easter weekend the peak harvest period. Unfortunately, ramps and deer ticks, the primary vector for Lyme’s Disease, coincide. Voracious from their winter dormancy, the ticks bring some risk to foraging: checking yourself for ticks is mandatory after digging around the forest floor. Ideally, you wear full, light-colored clothing, a hat and garden gloves, and strategically spray DEET-based insect repellent where ticks might land (i.e. on the neck). I also wear knee-length muck boots, pants tucked in. In terms of equipment, a small garden trowel makes harvesting much easier. I gather the bounty in a simple plastic grocery bag. 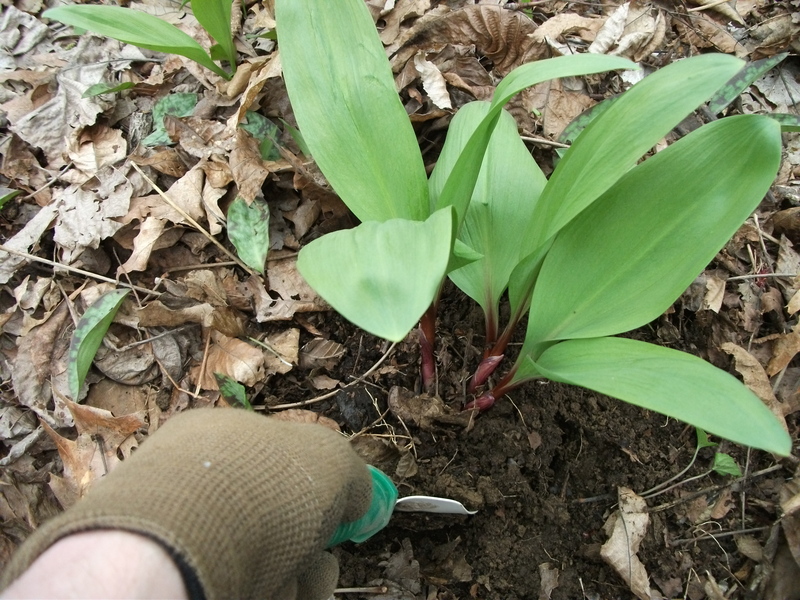 Ramps generally grow in clumps, so I sweep away the leaves and forest debris from the plants, then gently dig around, then up under, the ramps, loosening their grip in the soil. The idea is to extricate them whole, bulb and all. You get a feel for it pretty quickly. 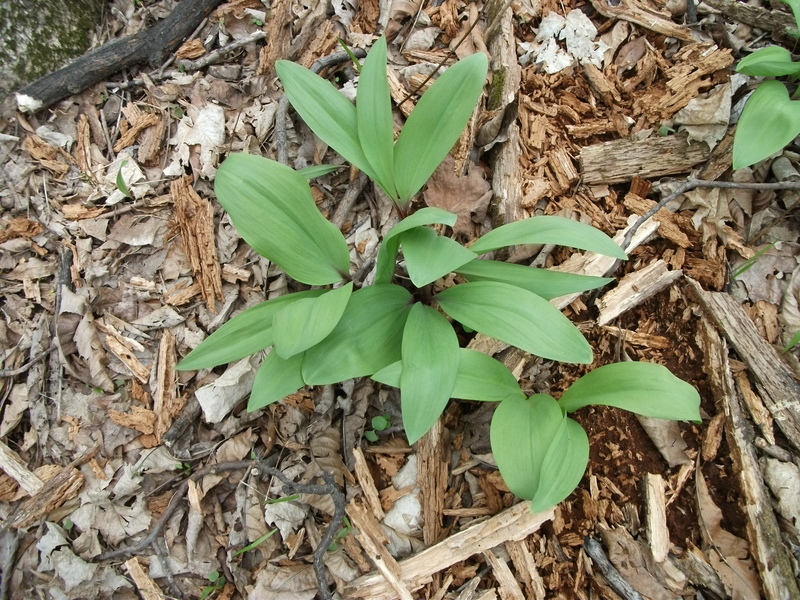 Because they’ve become highly popular with chefs and foodies, appearing increasingly on menus and at farmers’ markets (and festivals), there are concerns over the sustainability of harvesting wild ramps, as voiced in a recent New York Times article. As for my patch, I’m the only one harvesting in it, and I leave plenty behind. If anything, the number of ramps in my special spot seems greater than when I first found it a few years ago. Once you get them to the kitchen, they must be thoroughly cleaned. While easier to clean than actual leeks, ramps can still be quite a chore. First, cut off the bearded end of the bulb; then, gently scrape off the moist, muddy membrane from the white stem part of the plant; rinse under cold water, and then place it in a large bowl of cold water to soak further. After a few minutes, take them out of the water, and eventually shake or spin them dry. You can do a lot with ramps, using them as a more pungent, flavorsome substitute for scallions or green onions in myriad dishes. But when tender and fresh from the forest, sautéing them in olive oil with garlic and a little sea salt is hard to beat, rendering them incredibly sweet and tender (which you can then use in other dishes, too, like ramp ravioli). The key here: separate the bulbs from the leaves, cooking them first until soft, and then wilting the leaves (adding a little water, as needed). Kathryn truly has the touch with this, employing our wok to great effect (her recipe here, and a wine pairing, too). This entry was posted in At Our Farmhouse, Environment, Food, Home Cooking, Hudson Valley, Local Food and tagged Hudson Valley, Hudson Valley local, Rampfest 2011, ramps. Bookmark the permalink.